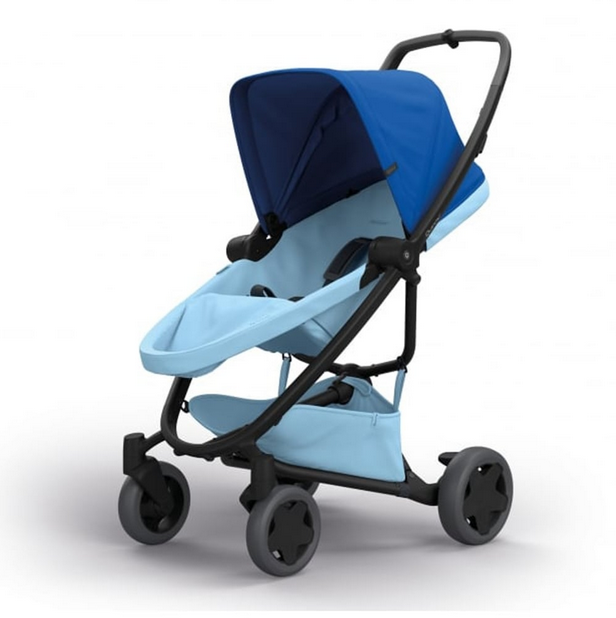 Pushchair is very easy to put up and down 3 easy steps and they are numbered on the pram. Steering is very easy and nice and light, easy to do steps. Carrycot, seat unit and car seat adapters very easy to connect and disconnect with one button. Very modern pushchair with extendable hood and comes with matching raincover which also easy to fit. Shopping basket is small and space compromised with frame of pushchair. Can easily buy hooks for pram to hook on the handle bar but be careful of weight distribution with changing bag. we bought this push chair because it is one of the only ones that fits into my fiat 500 and did not want to buy a new car. we have been pleasantly suprised, it steers really well, its comfortable and lightweight so easy to get in and out of the car. we have the carry cot so have been using it since birth with this and the maxi cosi car seat. Overall this is excellent value for money as will go from being a travel system to a stroller. This product is amazing, i have had it with both my eldest, its easy fold, small and fits pretty much anywhere, but the fabric is just NOT MUCH there, their back became sore. And the resting on the pram isn't sufficient. IV have 2 quinnys great for the price, easy to come apart to wash get all accessories online I would get spare wheels as mine are the air tyre and got puncture easy to fix. Very easy to manage fold and put up. Very light. The pram was very easy to steer, it’s light weight, I could lift while holding my child! The basket is very small for what a parent would need and you can’t put it on the back if heavy! This pram was over all one of my favourites! It’s easy to push and steer. It goes up to the age of 4years old, and the colours are amazing! This is a product I defiantly recommend if you need something easy and comfortable for you little one! 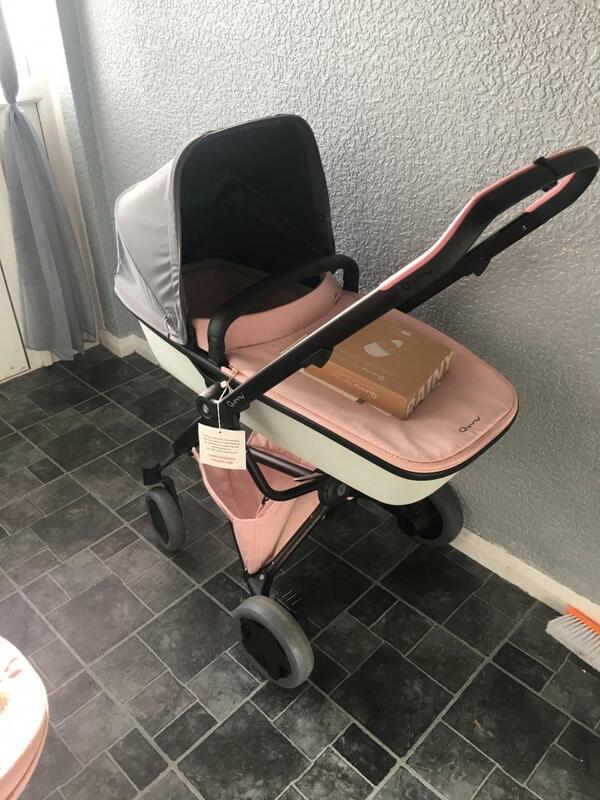 This pram was perfect for me and my little girl , the pink is stunning and so pretty to look at , it’s very lightweight and folds compact which is ideal when travelling. my daughter loves it ! Was a perfect buggy for my little one. Very comfortable and cosy, we travelled by plain twice and was quiet easy to work with it all the way. 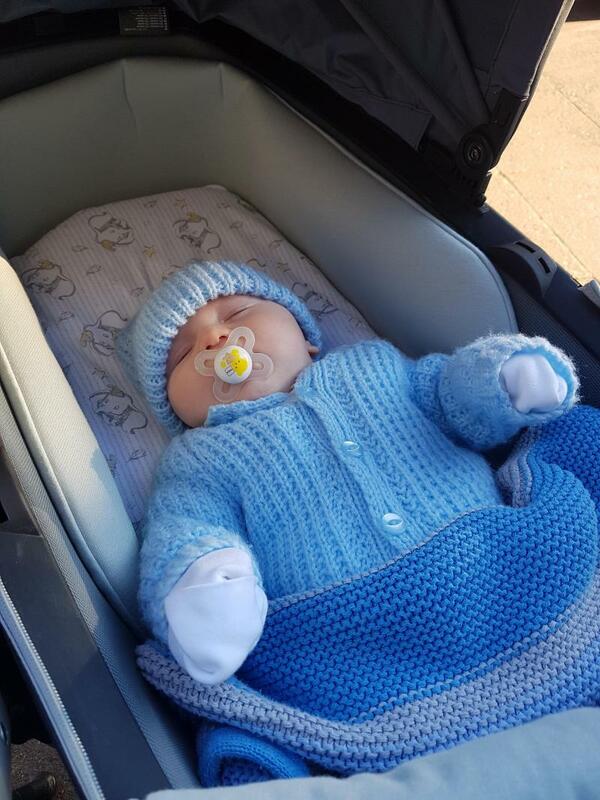 I use the buggy with my Maxi Cosi Pebble car seat which easily goes on and off with the car seat adaptors which are included. 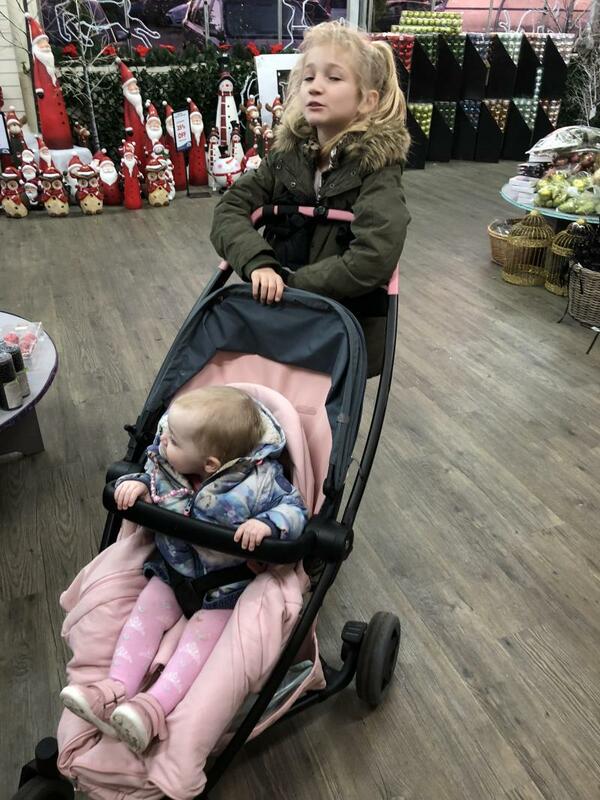 the four wheels offer a sturdy ride compared to the 3 wheeler version which I previously owned and the buggy can be pushed with one hand making it practical to use. the buggy is easily folded and does take up more room then the 3 wheeler zapps, it takes up a third of my boot space which is of a 468 litre boot. The Quinny seat can be used from six months and will last a long while. It has three recline positions and can face be either parent facing or outward facing. You can use a lie flat position or a sitting up straight position. the canopy is adjustable and will block most of the sun. The price is extremely reasonable considering the versatility of the buggy and how long it lasts. Found this product very good quality and would highly recommend easy to fold and steer and very light in weight so easy to transport. Good price compared to other buggies, can last up to 4 years age and seat folds with buggy frame. 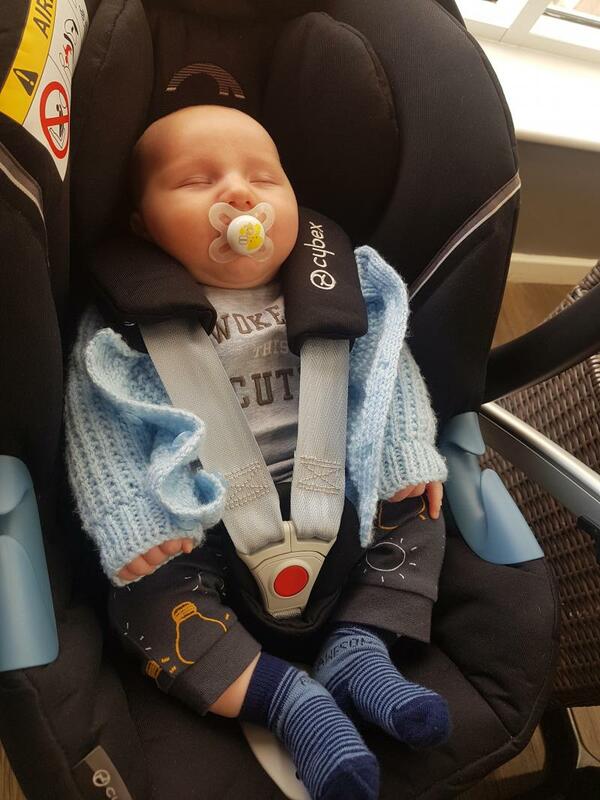 Currently I use the buggy with my Maxi Cosi Pebble car seat which easily goes on and off with the car seat adaptors which are included. 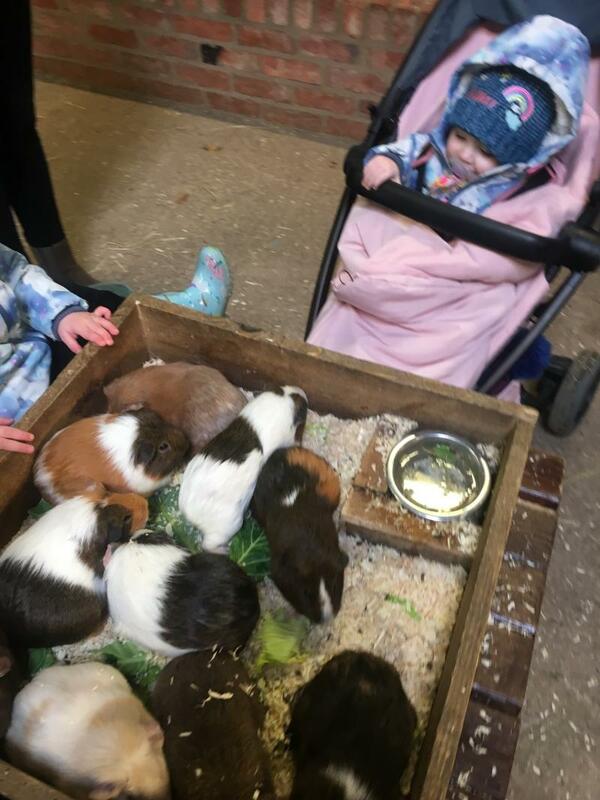 the four wheels offer a sturdy ride compared to the 3 wheeler version which I previously owned and the buggy can be pushed with one hand making it practical to use. the buggy is easily folded and does take up more room then the 3 wheeler zapps, it takes up a third of my boot space which is of a 468 litre boot. The Quinny seat can be used from six months and will last a long while. It has three recline positions and can face be either parent facing or outward facing. You can use a lie flat position or a sitting up straight position. the canopy is adjustable and will block most of the sun. However the shopping basket is quite small but that is a slight compromise with the compact fold. The price is extremely reasonable considering the versatility of the buggy and how long it lasts. There are many colour combos I have the red on graphite and there is an option to customise your Zapp which allows you to choose the frame colour, canopy colour and seat colour as well as handlebars and wheel sizes. One hand steer with cross bar handle, other hand free to hold toddlers. So light you cannot place bags on the handle as it will tip. I really do love this pushchair. It was the only one I could find that was light enough and easy enough to steer that I could do so one handed to have the other hand free for my toddler. Such a joy to push. We had the new born cocoon to make suitable from birth. This was nice and cosy for a winter baby, saved on the cost of a bassinet, and doubled as a cosy toes once she was sat in the main seat with hammock removed. Cons for me are the lack of basket space and not being able to place shopping bags or a changing bag over the handle due to the light frame tipping, this isn't a deal breaker for me as I drive but someone who uses buses really may find shopping trip difficult. I also loved that I was able.to personalise my colour choice s on the frame and seat and hood to get exactly what I was looking for. I was really excited to use my Quinny pushchair, but was very disappointed when I was walking down the road and the pushchair collapsed it clicks out of position! The 3 wheels make the pushchair easy to steer but the bottom of the pushchair is that big you struggle to get through a standard width door. The storage at the bottom of the pushchair is literally none existent cannot fit anything underneath at all. 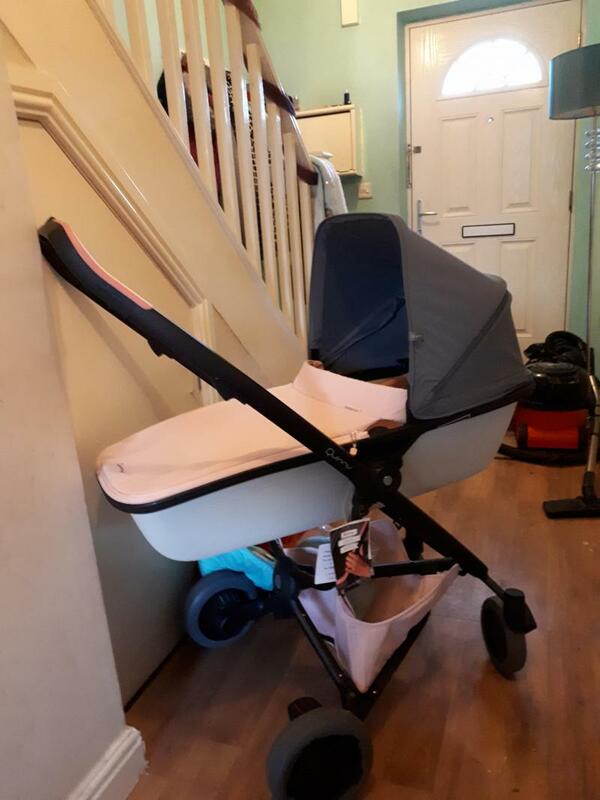 I like the design of this pushchair so attractive ,the colours fantastic ,easy to fold and to store ...i have got two pushchairs ...i prefer using my lovely Quinny its easy to push ..i feel my baby safe in it ...when i put my baby in it she stops crying really its wonder. Oh my goodness, I am blown away by this pushchair! The Original Zapp has always been one of my favourites and this latest design is fantastic. Seriously impressed. I found the Zapp Xtra2 seriously flimsy and the frame twisted and tipped when mounting kerbs which made it feel like it was going to collapse. This does not feel like that. It is robust, it feels really well made and the folding mechanisms have all been revised. It is very easy to collapse, the new travel lock button is a great idea. There is a sizeable difference in the wheels. It feels like this pushchair a step between the Zapp and the Buzz. The Zapp Flex Plus is bigger overall than the original buzz, but the FP still folds into a small package. 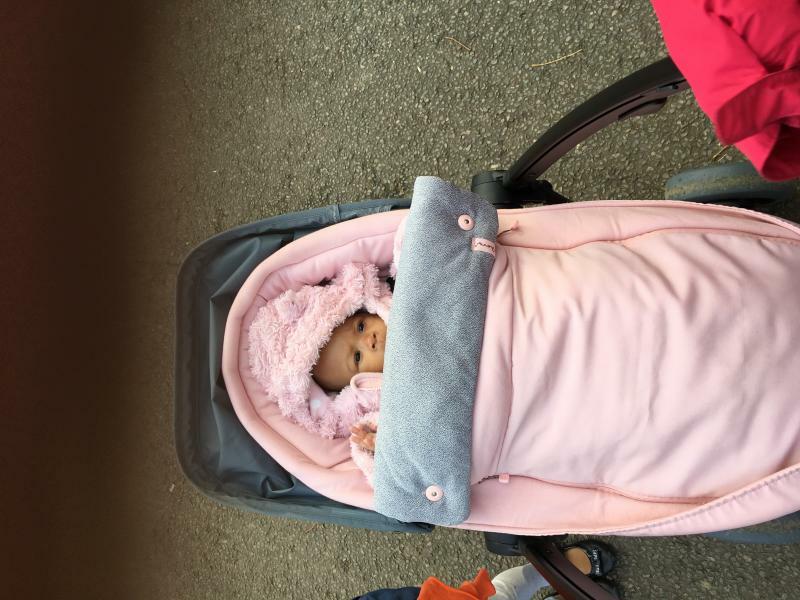 I love the soft touch fabrics on this Pushchair, the hood is really nice and opens up further to provide more weather coverage. The seat is easy to recline, remove and replace into parent facing mode. 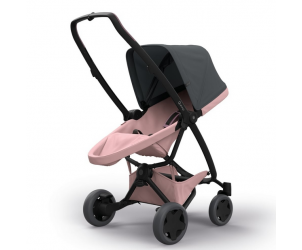 In parent facing mode the seat has two recline positions which is true of the Zapp Xtra, Xtra2 and Buzz prams. Included in the box is the rain cover which is made of a lightweight waterproof fabric which a plastic panel for baby to see out of and there are also Maxi Cosi car seat adapters *woohoo! * so you can use this as a travel system. Also different on this is the height of the handle and the handle is a continuous bar which I wanted because I need a spare hand when taking my boys to school. The harness is fiddly to remove as the holes in the seat have been surrounded with some sort of rubber feel sealant which prevents them from fraying. This gives them a tight fit and it almost feels like the holes to be a bit bigger to compensate for this. It had its first outing in the snow, I used an older quinny footmuff which fit, however the new straps are in a different position to the older models so you need to compensate by making the harness slightly bigger. The way the harness adjusts has been changed. No longer by the shoulders so you don't have to take the shoulder pads off, which on this model are made from rubber to stop your child escaping the harness. This is perfect for my little Houdini! Although I had purchased this for use with my youngest son, my 2 year old had the honour of the first outing. He was very comfortable and fell asleep on the journey to school. The raincover fits perfectly around the seat. The hood needs to be fully extended to fit. The raincover now comes with a zip on it which is excellent for use between showers. It is made of a lightweight fabric with a thin see-through plastic panel so this rolls up into a neat little package to pop in the shopping basket underneath. The journey itself was smooth sailing. The pram handles very well on rougher paths and glides around corners. As expected the solid handlebar makes one handed pushing a dream. Amazing looking pram lovely to push so lightweight only problem I find is my new born feels every bump. Folds small but took some figuring out how to fold it and take the seat unit off. Great for tall people I’m only 5.2 and find the handle quite high would of been better if it was adjustable. Ive only just bought this quinny and I love it so far ! I have a beetle so a very small boot and the Quinny fits in lovely and I still have room in my boot. But with the carrycot there isn't room for shopping . So easy to push and feels so light weight when pushing but the frame is heavy and good quality! Very quick and easy to swap between seat and the carrycot. Overall I'd definitely would recommend this pushchair! 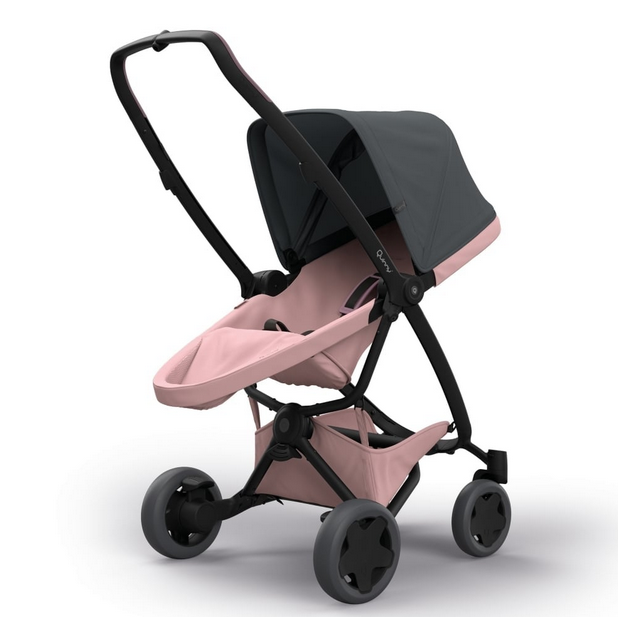 This is my last buggy I had in the graphite and blush, I had all accessories to the footmuff in blush, shopping bag, bumper bar, sun brolly, seat liner and rain cover and car seat adapters. It’s absolutely amazingly light to push. The plastic handle bar did annoy me at the start but got used to that. The whole thing comes apart so can all be washed and cleaned. The black frame did scratch quite easily but it doesn’t bother me. The stroller as a whole parent and world facing the recline etc always brilliant. Super comfy for baby. I loved this buggy. This pushchair looks amazing it folds small even with seat attached. It is much more steady. This is the best stroller I have ever had, it fold so small that it can fit in the foot well of my car in front of my sons car seat, also it is amazing to handle and beautiful to look at, the only con would be that over the first week it sometimes was a little hard to put it down but has loosened the more it has been used. The Quinny Zapp Flex Plus is the quintessential combination of flexibility safety and comfort, with its four large wheels and closed push bar for one-hand use.